Eggplant. Often plantd with thyme and other low, mound-forming herbs. Set out a purchased plant in spring. 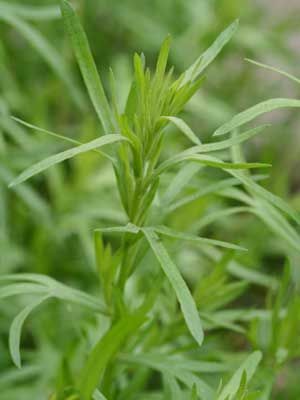 The best strain, called French tarragon, is propagated exclusively by rooting cuttings. At maturity, tarragon will need a 90 cm (3ft) square space.